Want to chase the dancing Aurora Borealis of the Arctic? Read on to find out when you should be planning your voyage to the northernmost region of our planet. The Northern Lights are one of our planet’s most astonishing natural phenomena and, as such, are about as predictable as the weather. Which is to say, not very predictable at all. While we can say for certain that one need dark nights and a clear sky to see them, there isn’t a scientist in the world who can predict them with cast-iron certainty. Even phenomenal solar storms, which produce the brightest lights, can usually only be predicted a few hours (a maximum of 48) ahead of time. Fabulous if you happen to be in the right place at the right time, but not so much if you’re planning an Arctic trip to specifically chase those magical dancing lights. The short answer to this most popular Arctic travel question is that the Northern Lights can be seen in certain locations of the Arctic at any time between September and mid-April although there are so many factors which determine which months – and which destinations – offer the highest chances, so read on to know more. There is nothing to suggest that the Northern Lights are any less active in summer than they are during the Arctic winter. However, you need to be drenched in complete darkness to see them well so that rules out the height of summer, a period when the region enjoys abundance sunlight and, for some weeks, even 24hr of daylight. One may then surmise that the best time to see the lights is at the very heart of the freezing winter (December and January) but that’s not necessarily true either. Winter in the Arctic means a lot of snow and, consequentially, a lot of cloud cover, the single biggest hindrance to a good light show. It also pays to note that, contrary to popular belief, the Arctic is not shrouded in pitch-black darkness all winter long. Even if the sun never peaks over the horizon (say, in December) there will be several hours of faint-blue light (the kind we see before the sunrise) and that’s certainly enough to drown out any Borealis action. If you’re starting to think you’ll have to look for a needle in a haystack, you’ll be somewhat correct. 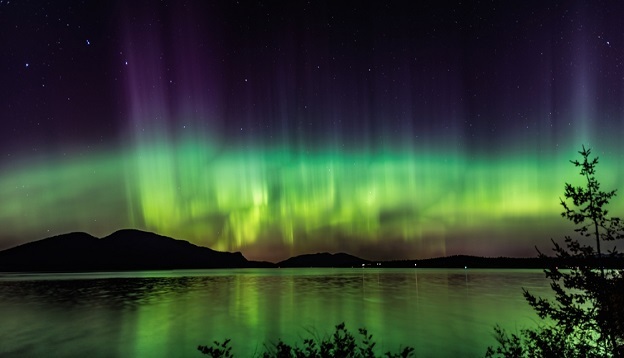 The best Northern Lights spectacles are believed to be on very cold and very clear dark nights and they can really occur at any time between September and mid-April although the shoulder period here is considered ideal because there is less likelihood of cloud cover. The equinoxes which occur on the 20th March and 20th September have also been found to attract greater solar activity. The Northern Lights Solar Flare Cycle – what does it really mean? NASA scientists have so far ascertained that intense solar flare cycles occur at 11-year intervals (or thereabouts) culminating in Solar Maximums and Solar Minimums. The interesting thing is that excellent solar flare activity seems to occur within 3 years at either side of the Maximum, with a particular burst occurring at either end of the Minimum. The last Solar Maximum occurred in 2014 and although the width of the Northern Lights ring is narrowing somewhat in 2019 and 2010, it doesn’t mean there will be fewer lights to admire: it simply means you’ll need to be closer to the magnetic North Pole to see them. 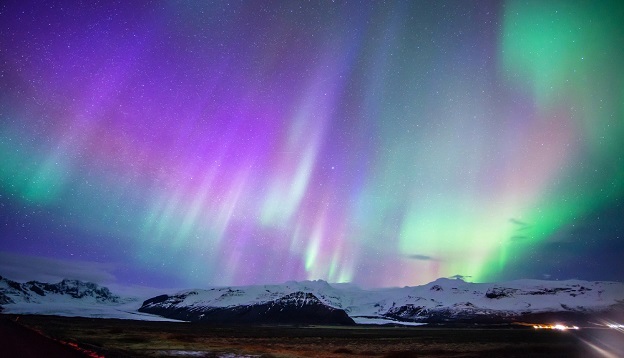 For more on this, have a read of our guide to the Where Can I See the Northern Lights? Here’s a look at the activity recorded over the last few years and predictions over the next two. If there’s one thing that all scientists agree on, it’s that a successful Northern Lights adventure in the Arctic is the combination of a few pivotal factors. Be in the right spot at the right time – First off, you need to be within the Aurora Borealis Oval Zone at the right time of year. Just heading north is not good enough. The Northern Lights are best seen under the Aurora Borealis ring and to know what that is refer back to our blog on the best places to see them. Pick a remote location – For the very best viewing, you’ll need to be at least 5-10km away from any city/town and its light pollution. Have the weather-gods in your favour – The weather is the only thing over which you’ll have no control although this is perhaps the most predictable aspect (on the day, at the very least). Stay in bed if it’s raining, snowing or generally cloudy and save your energy for the next clear night. Have the patience of a saint – Should you be lucky enough to experience favourable conditions on a specific night, then patience is what will ultimately see you succeed. In this case, the guy that heads back to the comfortable warmth of the hotel bed early because ‘nothing’s happening’ is the one who will miss out when something does happen. Braving the frigid Arctic night with a bunch of like-minded adventurers, in the hope of seeing the Northern Lights, is as tough as it sounds and as unforgettable an experience as you could ever dream. Most Northern Lights activity usually occurs between 9pm and 2am but it could be at 4am, 5.45am and even 6am…who knows?! If you do have a clear, dark and cold night, bundle up, pack a thermos of piping hot coffee and prepare to stay out a while. It may well turn out to be one of the most magical nights of your life. Aside from the chance of greater cloud cover in December and January in particular, there’s another very valid reason why so many choose not to travel to the Arctic in the heart of winter to see the Northern Lights. Namely, because there is not much else to do there besides while away the days and waiting for the darkest hours to spot the lights. And that’s if you’re lucky. Even the most avid aurora-chasers attest to September and March being infinitely more ideal months to travel to the Arctic as there’s enough light and snow to offer you a greater array of activities and options aside from the Aurora Borealis. For this reason, we offer our amazing Northern Lights expeditions to coincide with these ideal months: choosing the perfect locations that offer you the highest chances of seeing the Aurora and an array of fantastical adventures in the Arctic. Contact us if you’d love to know more.